A philosophy of 'full body with elegance,' showcasing the strength, structure, definition and opulence of Chouilly. 100% Family Owned and 100% Independent, Growers Champagne. AR Lenoble is one of few producers in Champagne that has been consistently family-owned and entirely independent since its inception. Armand-Raphaël Graser, like many of the early settling Champagne producers of the 18th and early 19th century, called Germany home until moving to Champagne in 1915 and setting up shop in 1920. It was the decision of the Alsace born Armand-Raphaël at the bitter end of the first World War, to part ways with the negative connotations surrounding his German lineage and last name moving towards new positive and more 'noble' beginnings; so Champagne AR Lenoble was born. Sister-and-brother owners Anne and Antoine Malassagne are the great-grandchildren of Armand-Raphaël Graser, now responsible for the day-to-day operations of the house including the growing, harvesting and winemaking to bottle. Passed down from their father in 1993, they have transformed AR Lenoble into one of the true jewels of the Champagne region. 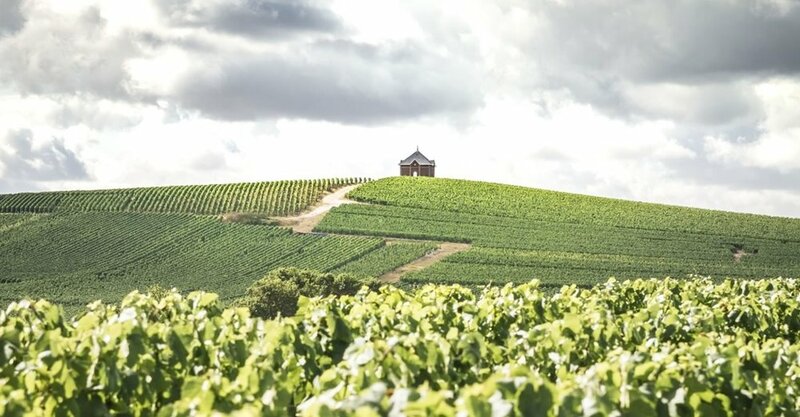 AR Lenoble was named the second House in Champagne to be awarded the “Haute Valeur Environnementale” certification as part of a legal measure implemented under French law in 2007 to encourage sustainable development. AR Lenoble was an early advocate of limiting dosage in order to let terroir express itself purely and precisely; no Brut cuvée will exceed a total of 5-6g/l dosage! This is no marketing ploy; it makes sense to celebrate the exceptional result of your endeavours! Being independent from vine to bottle, this allows for further control with regards to picking for balance opposed to the vast manipulation and correction which the majority of the appellation is better known for, and often criticised for. With zero use of chemical fertilisers, practically zero use of weed killer, drastic limits on the use of phytosanitary inputs to control mildew and powdery mildew in the vineyard. Empathetic farming with particular attention to biodiversity and enhancement of the vineyard with hedgerows, orchards, embankments, trees and low walls. The longevity and health of their vines is clearly of paramount importance. Allowing a cover crop of grass amongst the vines promote a competitive and biodiverse environment. As such, they have significantly reduced yields at AR Lenoble, which are today much lower than the average in Champagne by over 15%, showcasing depth and complexity in the wines. All pressing is done in one of three traditional Coquard presses in Damery. AR Lenoble only uses the "Cuvée" from the first grape press in the making of its wines, never the "Taille", just another commitment to uncompromising quality. A combination of different vinification vessels are employed so that individual parcels are fermented accordingly in small Burgundy barrels of 225 litres, 5000-litre foudres, stainless steel tanks and/or enamel-lined tanks. Malolactic fermentation is done or not done according to fruit and vintage. The resulting wine spends a total of 60 months (5 years) on lees and is bottled without fining or filtration and minimal sulphur additions. The resulting wine spends a total of 42 months (3.5 years) on lees and is bottled without fining or filtration and minimal sulphur additions. All handpicked; 100% Chardonnay from the Grand Cru village of Chouilly on limestone soils. A combination of different vinification vessels are employed so that individual parcels are fermented accordingly in small Burgundy barrels of 225 litres, 5000-litre foudres, stainless steel tanks and/or enamel-lined tanks. The resulting wine spends a total of 108 months (9 years) on lees and is bottled without fining or filtration and minimal sulphur additions.